Evergreen tree. Best if protected from frost. 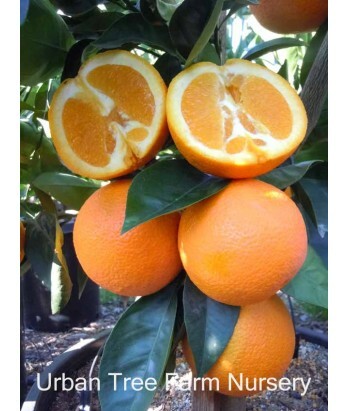 Seedless sweet orange perfect for eating off the tree. Large fruit with thick skin helps the fruit keep well on the tree. All citrus are heavy feeders. Regular water needs in well-drained soil once established.